There will be no game night on Friday, July 3rd since the college will be closed. I hope everyone has a fun and safe 4th of July weekend! Also, thanks to all those who made our all-day gaming marathon such a success – especially Diversions Games in Portsmouth for providing some fabulous door prizes! 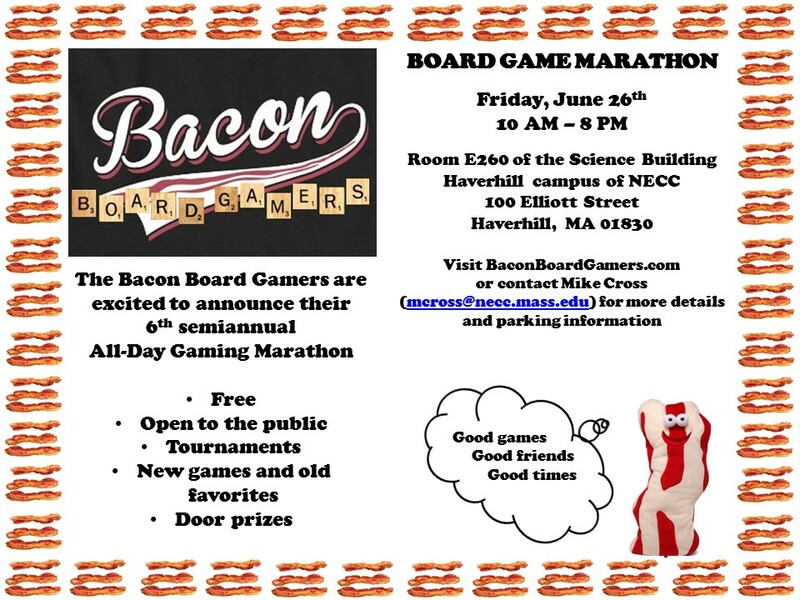 The Bacon Board Gamers are excited to announce their 6th semiannual All-Day Gaming Marathon! A huge shout-out to Diversions Games of Portsmouth for once again donating some fabulous door prizes!